According to the makers of this week's cider " The Modern Hillbilly is a true bohemian, not restricted by the mainstream and living by the rules of the land" . 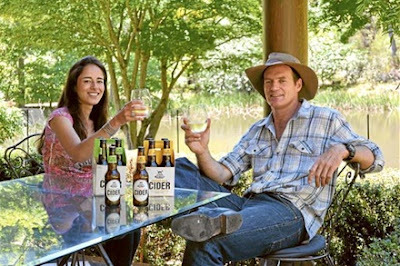 And, it is fair to say that Shane and Tessa Mclaughlin are living the Hillbilly dream after escaping city life and relocating to Bilpin in the Blue Mountains where they grow their own food and ultimately make cider. Bliss. 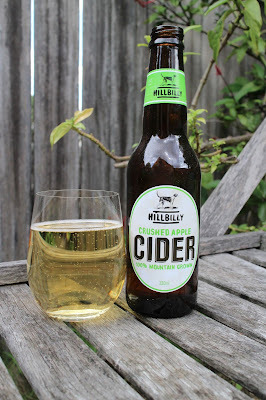 After deciding that a simpler life called for a simpler drink, the McLaughlin's set about making cider. The last two years has seen many talented winemakers branch out into making cider, and this story follows that trend - The family already recognised in the industry for Canonbah Bridge wines. 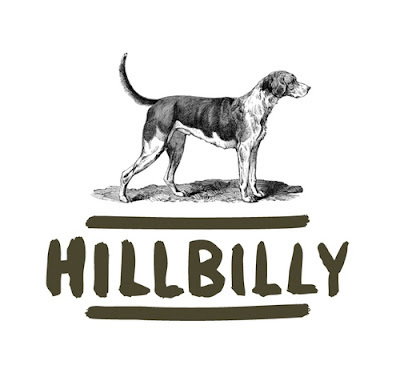 The label's dog stands tall and proud and is one of the first things I loved about the cider. Inspired by Tessa's English heritage, the dog resembles a hunting dog owned by her brother in England. 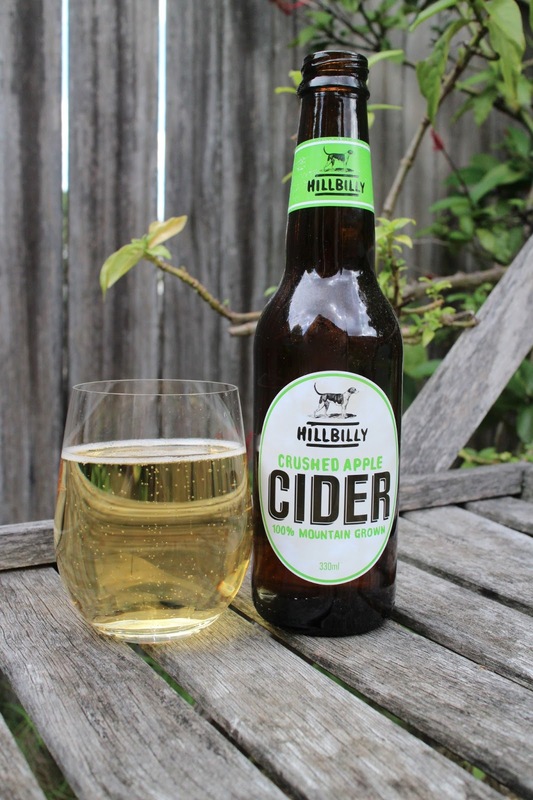 I first heard about this cider when I attended last year's Australian Cider Awards where Hillbilly cider was awarded Bronze in the Class 2 - Medium Cider Award. An impressive feat for having only just entered the market at the time of the awards. On first pour, this cider produces quite a lot of natural bubbles, however these settle quickly leaving a cider that is rather still, crisp yet incredibly smooth, and very easy to drink. You wont find any added carbon-dioxide here either - the cider is allowed to ferment naturally which produces a natural 'softer' carbonation. 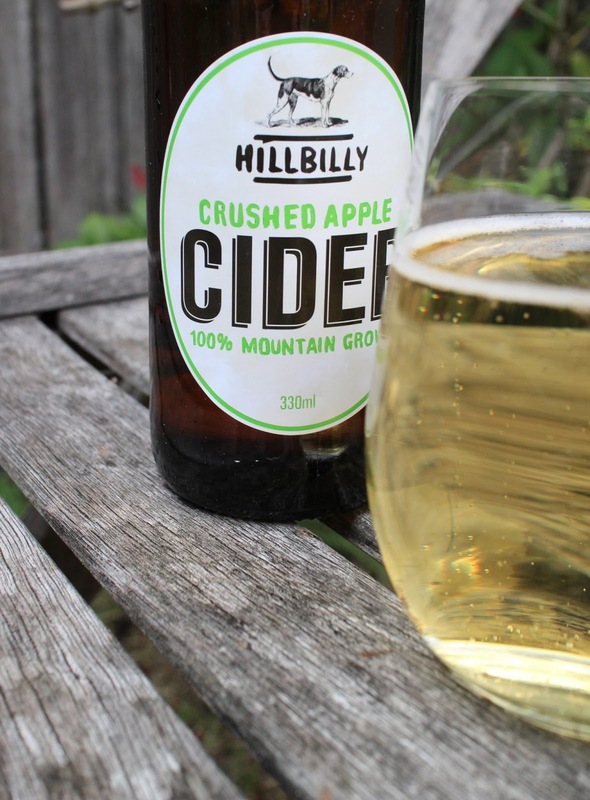 Delicate sweet apple flavours reflect the ingredients - 100% whole crushed mountain apples including an apple named Julie, a previously unused cider making apple. The results speak for themselves. This is a good cider. Being a lovely delicate cider, I recommend you try this one without ice, perhaps even at room temperature. Then adjust it depending on your taste. It will pair perfectly with a cheese platter, roasts, light fruity desserts and of course on its own. I can definitely see myself drinking this cider right through the cooler months and into Spring. Just leave the ice out of mine thanks. At 4.5% alcohol a 330ml bottle will provide you with 1.2 standard drinks. The Food Mentalist sampled Hillbilly Crushed Apple Cider compliments of Tessa & Shane McLaughlin. Unpasteurised, no sugar added, and gluten-free? Sounds good to me! 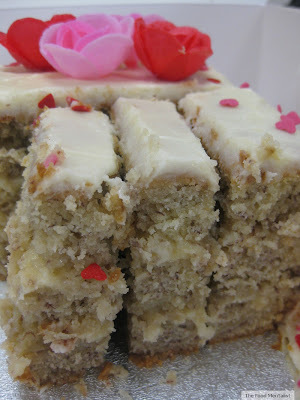 I had this one (well... not this one, the crushed pear one) last night. Found the smokey flavour nice, but it was too sweet for me.